In her last meeting as Chairman of the Federal Reserve, Janet Yellen announced a key interest rate would remain unchanged for now, but warned of building inflation in the economy. Both rates and inflation will likely have an impact on consumers in the coming months. During the final two years of Yellen's tenure, the Fed has slowly raised the federal funds rate, the interest rate at which the Fed loans money to banks. The rate had been slashed to near zero percent during the Great Recession, but now it hovers between 1.25 and 1.50 percent -- still very low on a historical basis. Under Yellen's successor, Jerome Powell, the federal funds rate is expected to drift higher during the remainder of 2018. Most market economists predict three to four more rate hikes this year, meaning the rate could end 2018 at 2.00 to 2.25 percent. In addition to "normalizing" interest rates, the Fed also keeps an eye on inflation. In her final news conference as Fed chairman, Yellen said policymakers see signs that prices are steadily rising. For consumers, this is not good news, since inflation makes the costs of goods and services more expensive. When the price of things consumers purchase regularly go up -- things like food and gasoline -- it will cut into either consumption or savings unless wages rise by a similar amount. That said, the Fed would like to see some inflation in the economy, since modestly rising prices can help promote economic growth. 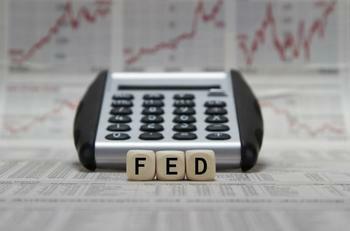 The Fed has set a target of two percent inflation for this year. The problem for consumers is when some items go up in price much faster than the average. For example, home prices rose more than five percent last year. The cost of healthcare and college tuition are rising much faster than the average inflation rate. The Fed uses interest rate hikes as a way to keep inflation under control since higher interest rates make credit more expensive. Here again, consumers bear some of those higher costs since certain consumer loans tend to follow the federal funds rate. Auto loans can be expected to rise with the federal funds rate in some, but not all, instances. Auto loans are largely determined by risk factors, so a consumer with excellent credit might see no rise in interest rates. However, someone with less-than-perfect credit might feel the impact more. The federal funds rate has the most impact on credit card interest rates, so consumers carrying large balances should prepare for higher interest costs in the future. "If you're carrying any credit card debt, your interest rate is likely going up with each Fed rate increase,” John Ganotis, founder of CreditCardInsider.com, told us last month. "Almost all credit cards have variable APRs, which means they're tied to the Fed rate." The average credit card rate is already above 16 percent, so it is possible that four Fed rate hikes in 2018 could raise that average by a point or more, meaning more of a consumer's monthly payment would go to interest and less to paying down the balance. The Fed's Open Market Committee meets again next month, at which time it could resume the process of raising its key interest rate.